1 Advertising Agreement. The following terms and conditions (the “Advertising Terms“), together with any associated insertion order provided by Luchthaven.nl and signed by you or by your affiliate network or other authorised representative on your behalf (“Advertiser“) that refers to the Advertising Terms (each an “Order”), constitute a binding agreement for the provision of Advertising Services (defined below) to Advertiser by Luchthaven.nl and govern the relationship between Advertiser and Luchthaven.nl The Order and this Advertising Agreement are collectively referred to herein as the “Agreement“. To the extent that a provision of an Order conflicts with a provision of the Advertising Terms, the provision of the Order will take precedence, but only in relation to the Advertising Services set out in that particular Order. “Advertising Services” means the services to be provided byLuchthaven.nl for the Advertisements ordered on the applicable Order. “Advertisements” means the advertisements or promotions ordered by Advertiser on the applicable Order. “Advertiser Content” means any and all text, graphics, Links, trademarks, and other information and materials made available to Luchthaven.nl by or on behalf of Advertiser for the Advertising Services. “Link” means any type or format of link that is provided or authorised by Advertiser to be displayed, distributed or placed on or by a Luchthaven.nl Distribution Channel which, through addition and/or use of any technology and/or methodology, can be tracked so that Advertiser can monitor the impressions, click-throughs and/or other tracked activities achieved by the display, distribution and/or placement of such link or any equivalent link, mechanism or technology that, upon being activated, causes the same result as clicking on a link. “Online Offer” means an offer or discount that is meant to be redeemed by a user on Advertiser’s websites or mobile applications. 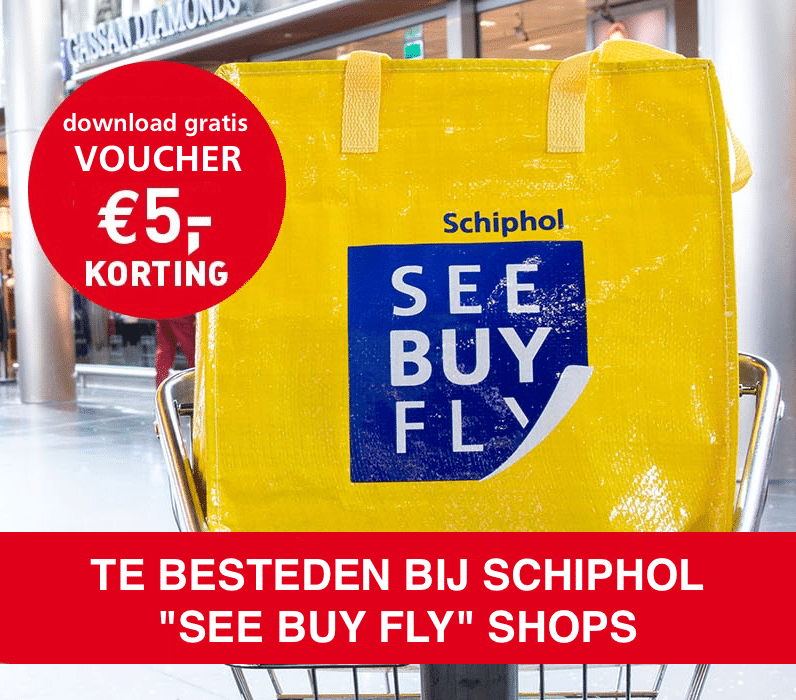 “Offline Offer” means an offer or discount that is redeemed in the Advertiser’s premises by (i) printing and presenting to the Advertiser in physical form or (ii) presenting to the Advertiser using Luchthaven.nl’s mobile applications. “Qualifying Order” means an order or signup from a consumer that resulted from a Link other than an order that occurred after such Link has expired or was overridden by a subsequent link placed by another third-party advertiser. “Qualifying Purchase” means a purchase by a consumer in which the consumer redeemed an Offline Offer. “Luchthaven.nl Distribution Channels” means the Internet websites indicated in the Order, along with such websites’ associated mobile websites, mobile applications, social media, email newsletters, syndication feeds, and affiliated websites (unless otherwise indicated in the Order). 3.1 Advertiser acknowledges that time is of the essence in providing required Advertiser Content and Advertiser’s failure to timely provide required Advertiser Content in accordance with Luchthaven.nl’s specifications may delay or prevent delivery of the Advertising Services hereunder. Luchthaven.nl may cancel the applicable Order without further obligation to Advertiser due to Advertiser’s inability or failure to timely provide required Advertiser Content in accordance with Luchthaven.nl’s specifications; however, Advertiser will remain obligated to pay Luchthaven.nl all fees due under the Order. 3.2 Advertiser represents and warrants that (a) all Advertiser Content will be true, complete and accurate (b) all Advertiser Content will be provided in compliance with Luchthaven.nl’s specifications and will not contain viruses, Trojan horses, worms, time bombs, or other similar harmful or deleterious programming routines or otherwise interfere with the function or performance of the Luchthaven.nl Distribution Channels; and (c) Advertiser holds all necessary rights to permit the use of all Advertiser Content by Luchthaven.nl and such use will not infringe any intellectual property or other proprietary rights of any third party or otherwise violate any applicable laws. 3.3 Any special offers, promotions, incentives or commitments contained in any Advertiser Content or otherwise made by Advertiser or are the sole responsibility of Advertiser and not Luchthaven.nl. Advertiser is solely responsible for the accuracy, quality, integrity, reliability and legality of all Advertiser Content, including, but not limited to, any associated terms, conditions, representations or warranties. 3.4 All Links contained in Advertiser Content shall remain active for 30 days, unless such Link is overridden by a subsequent third-party advertiser link. 4.1 After all required Advertiser Content is received in accordance with Section 3.1, Luchthaven.nl shall provide the Advertising Services set forth in the applicable Order. 4.2 Luchthaven.nl makes no guarantees with respect to usage statistics, levels of impressions or the like for any of the Advertising Services. Advertiser acknowledges that delivery statistics provided to Advertiser by Luchthaven.nl are the definitive and binding measurements of Luchthaven.nl’s performance on any delivery obligations provided in or required under the Order. 4.3 Luchthaven.nl may, at its sole discretion, modify, alter or discontinue the functionality or content of any portion of the Advertising Services at any time. Except as otherwise expressly provided in the Order, positioning and placement of Advertisements within the Luchthaven.nl Distribution Channels or on any page or portion thereof is at Luchthaven.nl’s sole discretion. 5.1 For Online Offers, Advertiser will provide Luchthaven.nl with a monthly report of clicks, transactions and gross sales resulting from Qualifying Orders within seven days of the end of each calendar month during the term of an Order. 5.2 For Offline Offers, Advertiser will provide Luchthaven.nl with a monthly report of transactions and gross sales resulting from Qualifying Purchases within seven days of the earlier of (i) end of each calendar month during the term of an Order or (ii) end of the offer period stated in the Order. 5.3 Unless specified otherwise in the applicable Order, fees are payable within 30 days of the date of such monthly report. If the Advertiser is unable to provide Luchthaven.nl with an accurate monthly report, the parties will discuss in good faith how Luchthaven.nl shall be remunerated for the Advertising Services (which may involve Luchthaven.nl charging on its standard Cost Per Download model rather than on a Cost Per Acquisition model). 5.4 If the fee for the Advertising Services ordered by Advertiser is based on unit pricing with a minimum quantity, Advertiser will be invoiced for the greater of (i) unit pricing times the actual quantity of units; and (ii) unit pricing times the minimum quantity of units specified in the Order. Minimum charges for the Insertion Period are non-cancellable by Advertiser upon signing of the applicable Order, and all payments are non-refundable upon payment by Advertiser. 5.5 Any and all taxes that may be imposed on any Advertising Services pursuant to this Agreement shall be paid by Advertiser and Luchthaven.nl may bill and collect such amounts in addition to the amounts otherwise payable hereunder. 5.6 Any amounts not paid by Advertiser within 30 days after the due date are subject to a late fee and bear interest from the date of such due date at a rate of 8% above the Bank of England base rate. 5.7 If Advertiser fails to timely pay fees due hereunder, Luchthaven.nl may, in its sole discretion, terminate this Agreement or suspend performance of the Advertising Services under any active Order. 5.8 Luchthaven.nl, its attorneys and certified public accountants, at Luchthaven.nl’s expense (save as set out below), will have the right at any time during regular business hours upon thirty (30) days’ prior written notice, to audit and examine all such contracts, systems and records, including the general ledger, invoices and any other records and systems necessary to verify Advertiser’s performance in accordance with the terms of this Agreement. The Advertiser shall provide such access to the records of Advertiser’s affiliate network if they are directly involved in activities which are the subject of this Agreement. Notwithstanding the foregoing, if Advertiser is found to have underpaid Luchthaven.nl via such audit the Advertiser shall pay to Luchthaven.nl the applicable underpayment and, further, if such underpayment is by more than 5% in the aggregate, it shall pay to Luchthaven.nl the applicable underpayment together with interest of 8% above the Bank of England base rate and all reasonable, out-of-pocket costs and expenses related to the audit right covered hereunder and the enforcement thereof within thirty (30) days of an invoice therefore. 6.1 As between Luchthaven.nl and Advertiser, Luchthaven.nl retains sole editorial control over any and all links, graphics, text, and other information presented via the Advertising Services. 6.2 Luchthaven.nl reserves the right, in its sole discretion, to reject, cancel or remove any Advertisement or Advertiser Content, at any time, for any reason whatsoever, and it shall not be deemed a termination of any Order for Luchthaven.nl to do so unless all Advertisements under such Order have been rejected, cancelled or removed by Luchthaven.nl. Although Luchthaven.nl reserves the right to reject or edit any Advertisement or Advertiser Content that is or might be contrary to this Agreement or applicable law (as determined by Luchthaven.nl in its sole discretion), Advertiser understands that Luchthaven.nl has no duty or obligation to do so. 7.1 As between Luchthaven.nl and Advertiser, Advertiser retains all of its proprietary right, title and interest in the Advertiser Content provided by or on behalf of Advertiser to Luchthaven.nl. Advertiser hereby grants to Luchthaven.nl a nonexclusive, worldwide, royalty-free license to use, reproduce, modify, distribute and display the Advertiser Content as contemplated by this Agreement. Additionally, Advertiser hereby grants to Luchthaven.nl a nonexclusive, worldwide, royalty-free license to use the brands and trademarks of Advertiser in connection with the Advertising Services. 7.2 Luchthaven.nl acknowledges that the goodwill developed by such use inures to the exclusive benefit of Advertiser. 7.3 The Advertiser acknowledges and agrees that Luchthaven.nl may refer to Advertiser in case studies and press releases related to the Advertising Services. 7.4 Luchthaven.nl reserves all rights in the content accessible via the Luchthaven.nl Distribution Channels (other than Advertiser Content) and any and all software, information, interfaces and other technology related to the Advertising Services provided hereunder. 8 Disclaimer; Limitation and Exclusion of Liability; Indemnity. 8.1 To the maximum extent permissible by law, Luchthaven.nl expressly disclaims any representations or warranties of any kind or nature, express or implied, as to the condition, value or quality of any products or services provided hereunder, and specifically disclaims any representation or warranty of title, non-infringement, merchantability, suitability or fitness for a particular purpose or as to the condition or workmanship thereof, or the absence of any defects therein, whether latent or patent, including any warranties arising from a course of dealing, usage or trade practice. To the maximum extent permissible by law, Luchthaven.nl expressly disclaims any representations or warranties that the use of any products or services provided hereunder will be continuous, uninterrupted or error-free, that any information contained therein will be accurate or complete or that any data will be completely secure from unauthorised access. Luchthaven.nl does not make any representations or warranties regarding the use of or the results derived from any products or services provided hereunder in terms of correctness, accuracy, reliability, compatibility, increase in business or otherwise. 8.2 Traviq Media does not exclude or limit any liability to the extent the same cannot be excluded or limited at law. 8.3 In the event Luchthaven.nl fails in any respect to provide advertising services in accordance with the applicable Order and the Advertising Terms, the sole liability of Luchthaven.nl to Advertiser and Advertiser’s sole remedy is limited to one of the following (at Luchthaven.nl’s sole election): (a) pro rata refund of the fees paid by Advertiser with respect to such Advertising Services, or (b) integration or placement at a later time in a comparable position or extension of the term of the applicable Order until the Contracted Advertising services are delivered. 8.4 Subject to Section 8.2, Luchthaven.nl’s aggregate liability to Advertiser (whether in contract, tort (including negligence) or otherwise) is limited to the aggregate amount of fees actually received by Luchthaven.nl from Advertiser under this Agreement during the six month period preceding the event giving rise to such liability. 8.5 Subject to Section 8.2, in no event will Luchthaven.nl be liable for, or in respect of, any (i) loss of actual or anticipated revenues, profits or savings, loss of goodwill, loss of opportunity, loss of business or loss of data (whether the foregoing are direct or indirect) or (ii) consequential, special, incidental, exemplary, punitive or other indirect losses or damages, in any way arising out of or related to this Agreement (whether in contract, tort (including negligence) or otherwise) even if foreseeable or if Luchthaven.nl has been advised of the possibility of such damages or loss. 8.6 Indemnity. Advertiser shall, at its own expense, indemnify, defend and hold Luchthaven.nl and its shareholders, directors, officers, employees, agents, representatives, successors, and affiliates harmless from and against any and all claims, suits, actions, liabilities, losses, costs (including reasonable attorney fees and costs), expenses, judgments or damages of any kind arising out of, related to, or in connection with any (a) breach by Advertiser of any representation, warranty or obligation under this Agreement, (b) Advertiser Content, or (c) material, product or service provided by or on behalf of Advertiser to any party (including without limitation, any warranty claims, consumer protection claims and claims of intellectual property infringement, defamation, breach of confidentiality, publicity or privacy violation, or false, deceptive or unfair advertising, sales or business practices). 9.1 Unless sooner terminated in accordance with the provisions hereof, this Agreement will continue in effect so long as any Order remains outstanding. 9.2 Luchthaven.nl has the right to terminate this Agreement immediately in the event of any breach by Advertiser, in which case all amounts due through the term stated on any then-outstanding Orders will be immediately due and payable by Advertiser. Sections 8 and 10 survive any termination of this Agreement. 10.1 Assignment. This Agreement and the rights and responsibilities hereunder may not be assigned or otherwise transferred, in whole or in part, by either party, without the prior written consent of the other party, except that either party may, without the other party’s prior consent, assign this Agreement in its entirety to an affiliate or to a successor by way of merger, consolidation, reorganisation or acquisition of substantially all of the business of the assigning party related to the Agreement. Any assignment in violation of this section is void and of no effect. This Agreement is binding upon and inures to the benefit of the parties and their respective successors and permitted assigns. 10.2 Notices. Except as otherwise provided herein, any notice or other communication to be given hereunder must be in writing and either (as elected by the party giving such notice): (i) personally delivered; (ii) sent postage prepaid by registered or certified mail, return receipt requested; (iii) transmitted by facsimile (with a confirmation of receipt) or email; or (iv) deposited prepaid with a nationally recognised overnight courier service. Notices will be deemed to have been duly given on the date of receipt (or if non-electronic delivery is refused, the date of such refusal). 10.3 Confidentiality. Each party acknowledges that Confidential Information may be disclosed to the other party during the course of this Agreement. Each party agrees that it shall take all reasonable steps during the term of this Agreement and for a period of two years following the expiration or termination of this Agreement to prevent the duplication or disclosure of Confidential Information of the other party, other than by or to its employees or agents who must have access to such Confidential Information to perform such party’s obligations hereunder, who are each bound by confidentiality obligations no less restrictive than those contained herein. “Confidential Information” means any proprietary, non-public information relating to or disclosed in the course of this Agreement, including, but not limited to, the material terms of this Agreement, information about each party’s site visitors, technical processes and formulas, source codes, product designs, sales, cost and other unpublished financial information, product and business plans, projections, and marketing data, and explicitly excludes any information that (a) was in the public domain at or subsequent to the time the Confidential Information was communicated to the receiving party by the disclosing party through no fault of the receiving party; (b) was rightfully in receiving party’s possession free of any obligation of confidence at or subsequent to the time the Confidential Information was communicated to receiving party by the disclosing party; or (c) was developed by employees or agents of receiving party independently of and without reference to any of the disclosing party’s Confidential Information. 10.4 This Agreement does not create any partnership, joint venture, franchise, agency or employment relationship. 10.5 This Agreement constitutes and contains the entire agreement and understanding of the parties with respect to the subject matter hereof and supersedes any and all prior written and oral negotiations, correspondence, agreements, understandings, duties or obligations between the parties respecting the subject matter hereof. 10.6 Luchthaven.nl may, at any time, set-off any amounts due to Advertiser against any amounts owed by Advertiser to Luchthaven.nl, whether pursuant to this Agreement or otherwise. 10.7 Except as otherwise expressly provided herein, all rights and remedies hereunder are cumulative. 10.8 In case any one or more of the provisions of this Agreement is found by a court of competent jurisdiction to be invalid, illegal or unenforceable in any respect, the validity, legality and enforceability of the remaining provisions contained herein shall not in any way be affected or impaired thereby, so long as the economic or legal substance of the transactions contemplated hereby is not affected in any manner materially adverse to any party. 10.10 No party hereto is liable to any other party for any loss or damage due to delays or failure to perform resulting from an event of “Force Majeure” including without limitation: act of God, accident, war, fire, lockout, strike or labour dispute, utility or telecommunications failure, acts or omissions of the other party, or any other event beyond the reasonable control and without the fault or negligence of such party. 10.11 This Agreement is governed by and shall be construed and enforced in accordance with the laws of England and Wales. The parties consent to the jurisdiction of the courts of England and Wales each party hereby waives any defence of inconvenient forum. 10.12 No modification, extension or waiver of or under this Agreement is valid unless made in writing and signed by the representative designated in the applicable Order or an authorised executive officer of the party sought to be charged therewith.